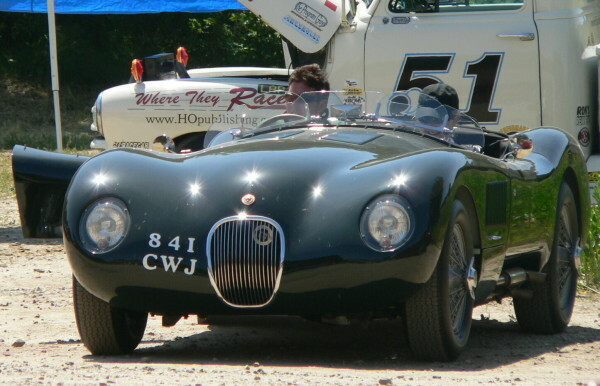 The C-Type was Jaguar's first 1950's sports/racer. It won at LeMans in 1951 and 1953 and was raced in amateur events into the early 1960s. This beauty looked real to me but its documentation stated that it was a replica. Next: Mercedes-Benz 300-SL "Gullwing Coupe"